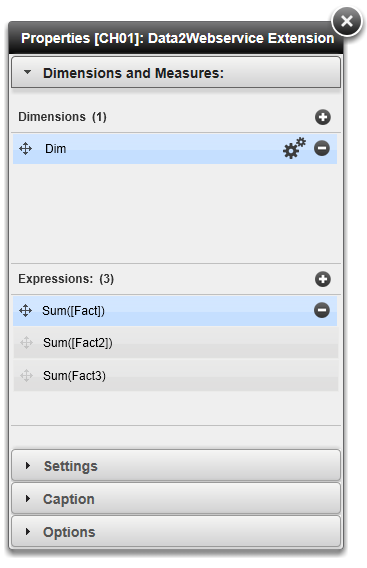 There are many scenarios where it is necessary to process QlikView data with other systems. There are many approaches and examples available how this can be achieved using Macros (based on the QlikView IE-Plugin) but this article cover how you can realize such a requirement by using only the QlikView Ajax client. 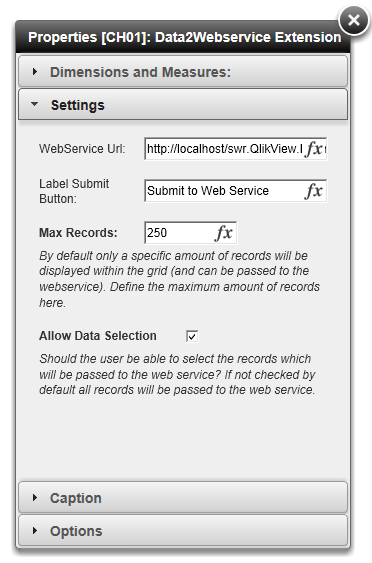 Exporting QlikView data to cloud system like salesforce.com, Amazon, etc. But my intention was to create a prototype to demonstrate an approach which can be used for all scenarios with as less as possible modifications. Then there is a button within that extension which triggers the process of posting all data displayed within the extension to a web service. The Url of that web service can be defined within the extension. 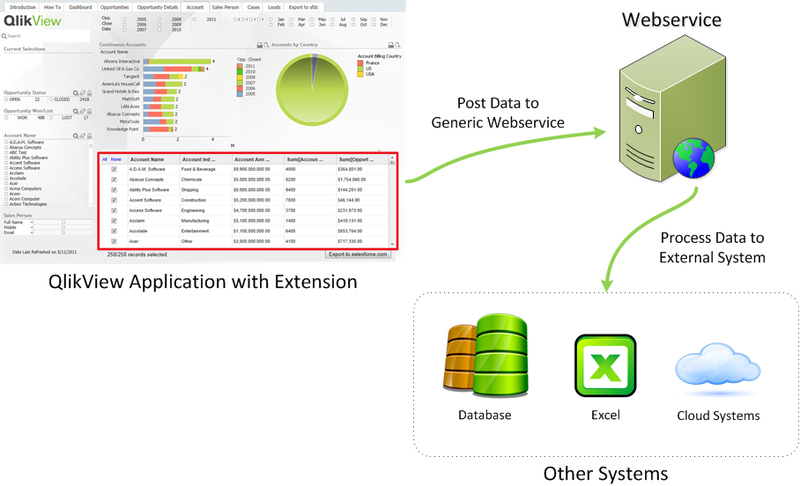 Installing and dragging the Data2Webservice object extension onto your QlikView document is straightforward as described in this article. In addition you have to prepare the web service which can be referenced by the extension. 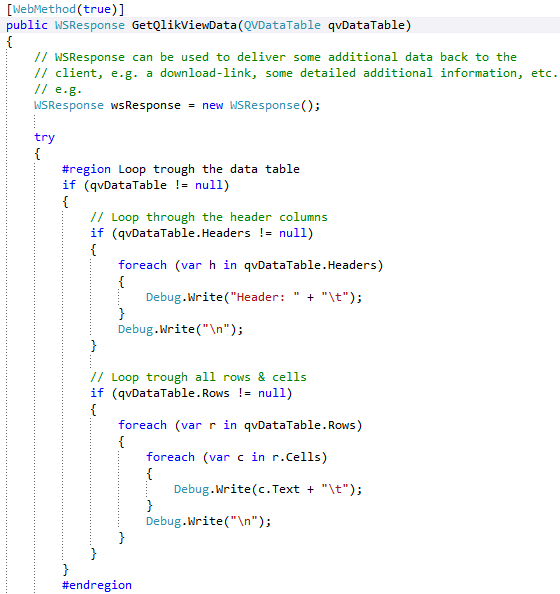 I have created a sample web service which can be used as a starting point for working with data posted by the Data2Webservice extension. and tagged Extensions, Webservice. Bookmark the permalink. Both comments and trackbacks are currently closed.